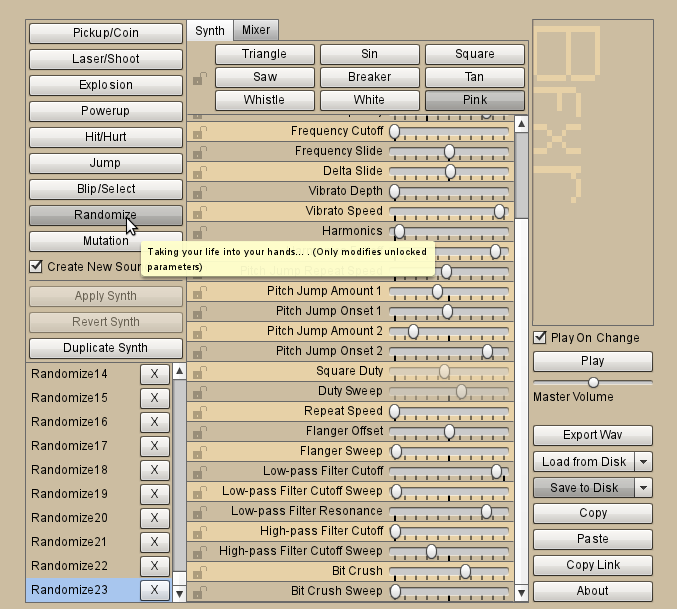 Bfxr is an enhanced version of highly popular indie sound effects creator tool Sfxr. Bfxr adds some new features and can be easily run in a web browser. 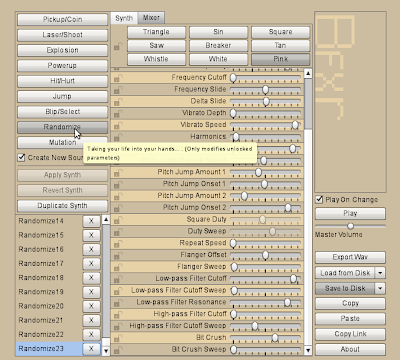 Bfxr is an elaboration of the Sfxr with improved GUI and some new features. Try Bfxr now in your web browser from here. For more information, tips, keyboard shortcuts and API. visit official website.